Mix salsa with jalapeños, sweet chili sauce, gently heat. 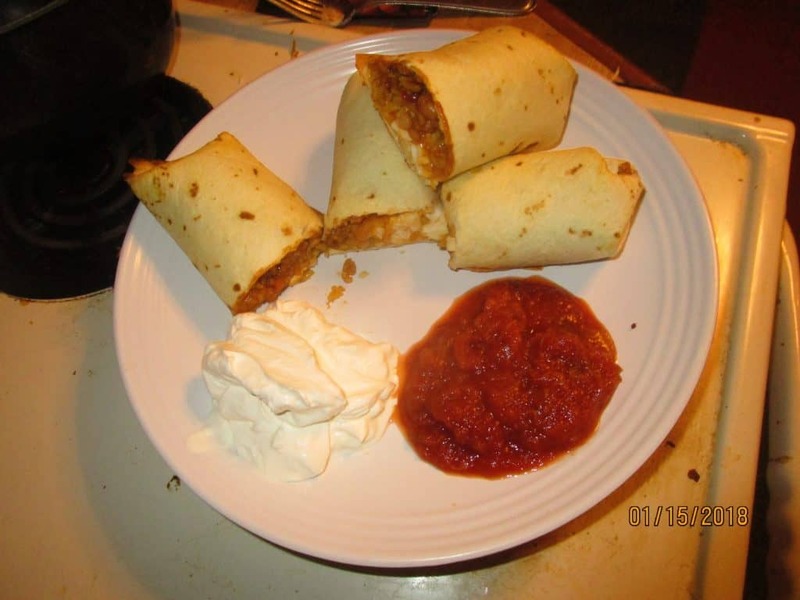 Put a thick line of rice on burrito, add chicken, add beans and salsa, extra chili sauce if desired, roll, fold in ends, line up on baking pan. Gently rub all over with olive oil. Bake 12-15 minutes at 410 degrees. Cook till ends are browned, or your own desire. I love it a little crispy. Serve with el sol salsa, and sour cream on the side. Simple and delicious fast food, and nutritious!!! !